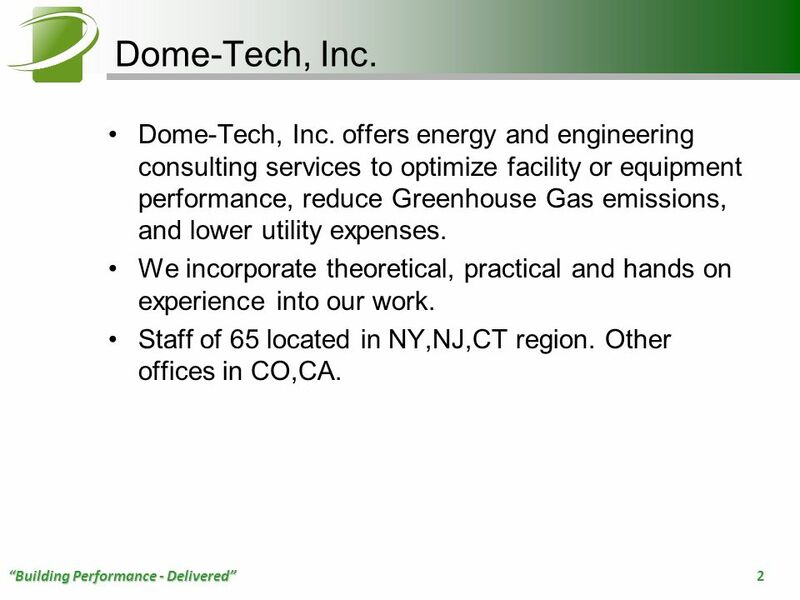 2 Dome-Tech, Inc. Dome-Tech, Inc. offers energy and engineering consulting services to optimize facility or equipment performance, reduce Greenhouse Gas emissions, and lower utility expenses. 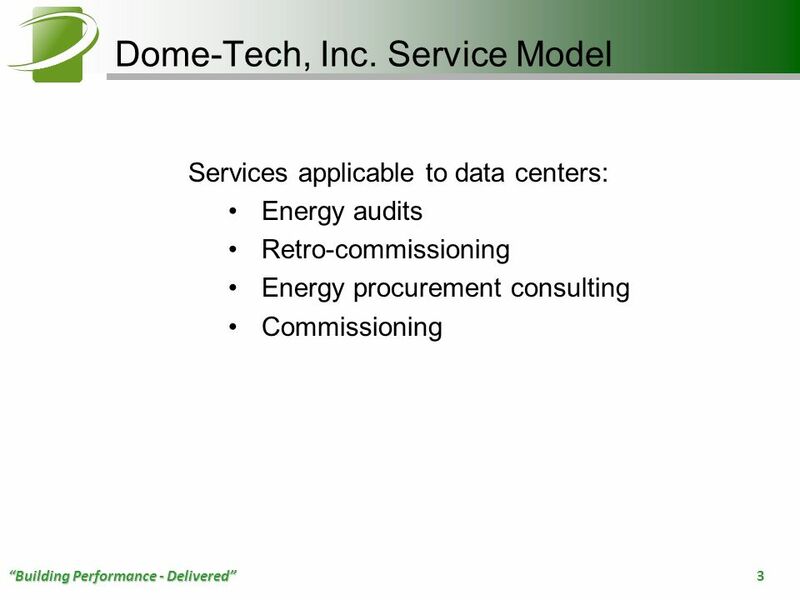 We incorporate theoretical, practical and hands on experience into our work. Staff of 65 located in NY,NJ,CT region. Other offices in CO,CA. 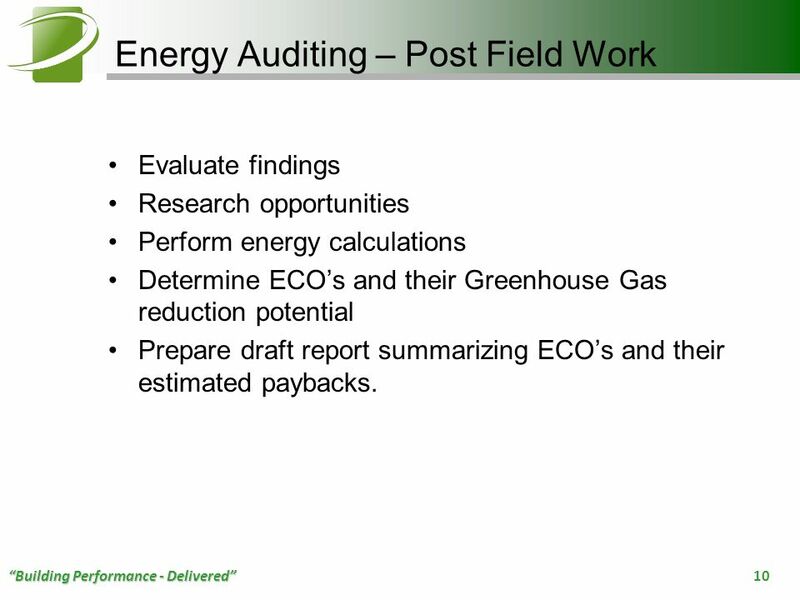 Evaluate findings Research opportunities Perform energy calculations Determine ECO’s and their Greenhouse Gas reduction potential Prepare draft report summarizing ECO’s and their estimated paybacks. 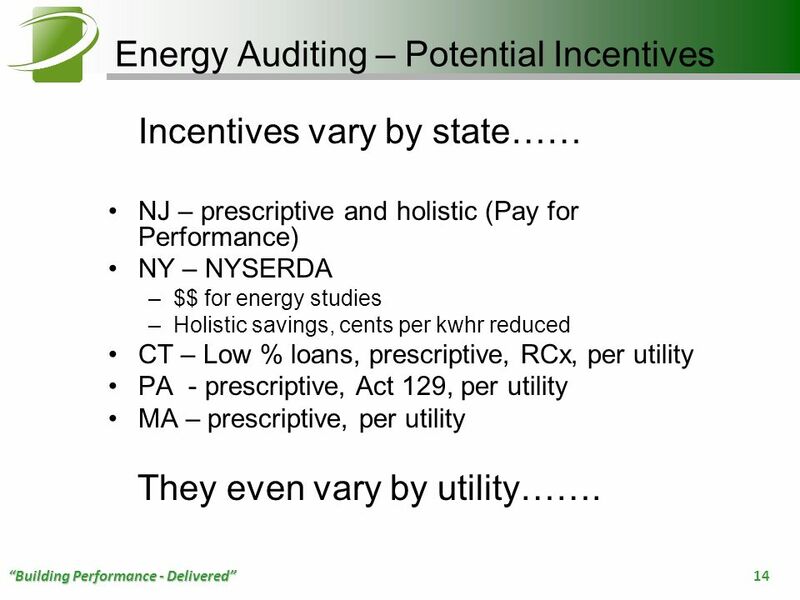 Incentives vary by state…… NJ – prescriptive and holistic (Pay for Performance) NY – NYSERDA $$ for energy studies Holistic savings, cents per kwhr reduced CT – Low % loans, prescriptive, RCx, per utility PA - prescriptive, Act 129, per utility MA – prescriptive, per utility They even vary by utility……. 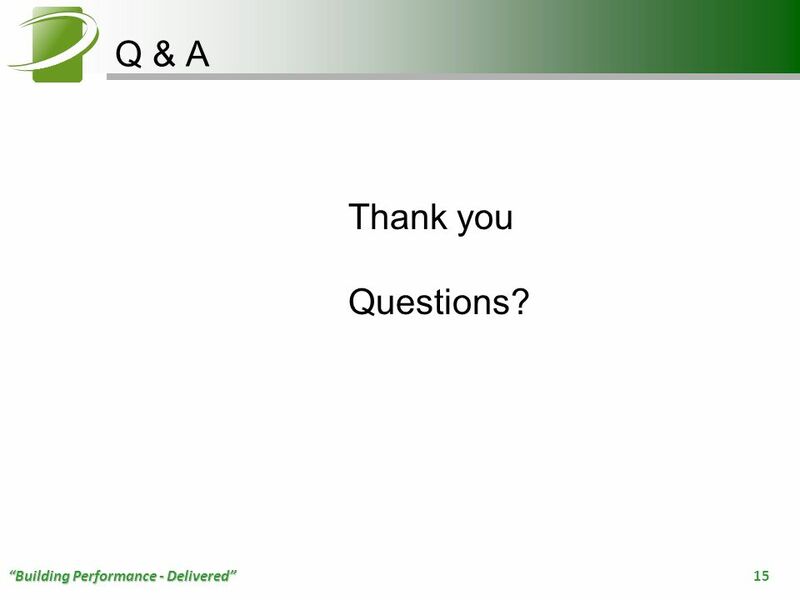 15 Q & A Thank you Questions? 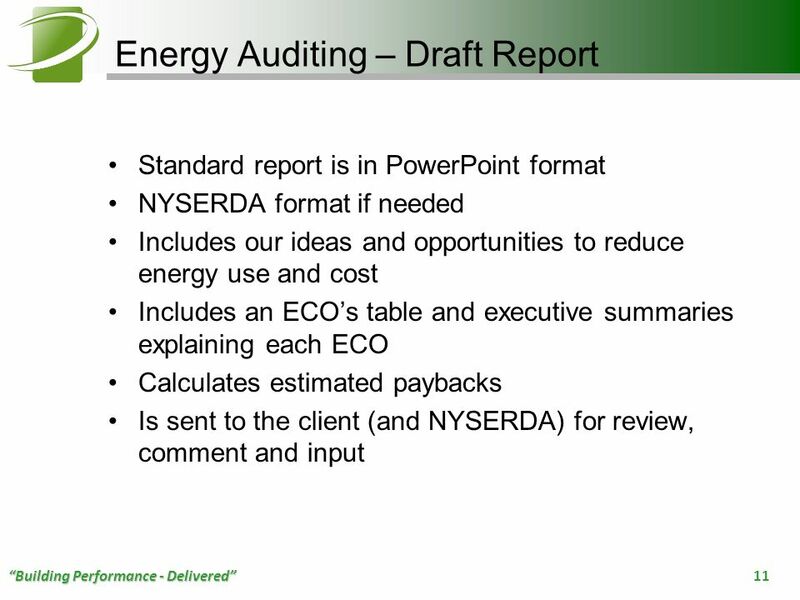 Download ppt "Energy Audit Process For Data Centers Len Kientz"
2/10/20141 Sustainable United Nations Supporting the UN Climate Neutral Strategy United Nations Environment Programme Sustainable United Nations. 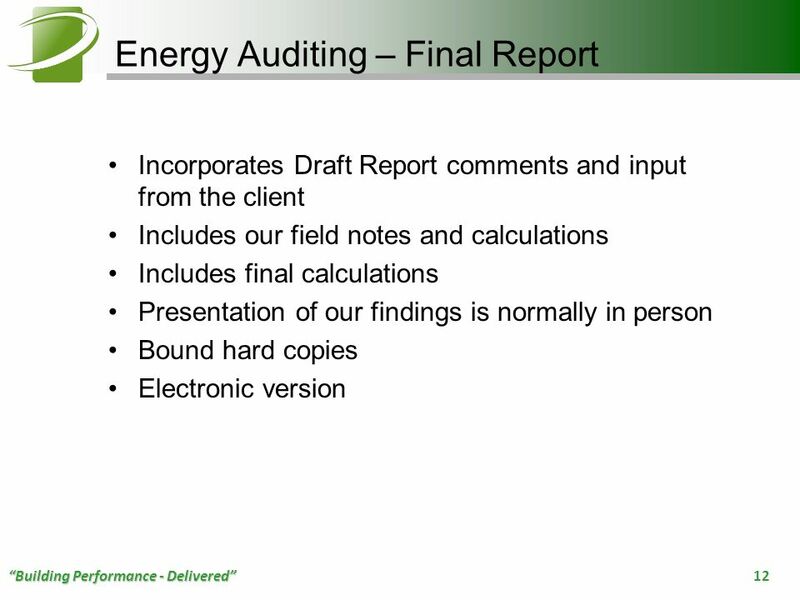 PG&Es Incentive Programs Don Fantz P.E. 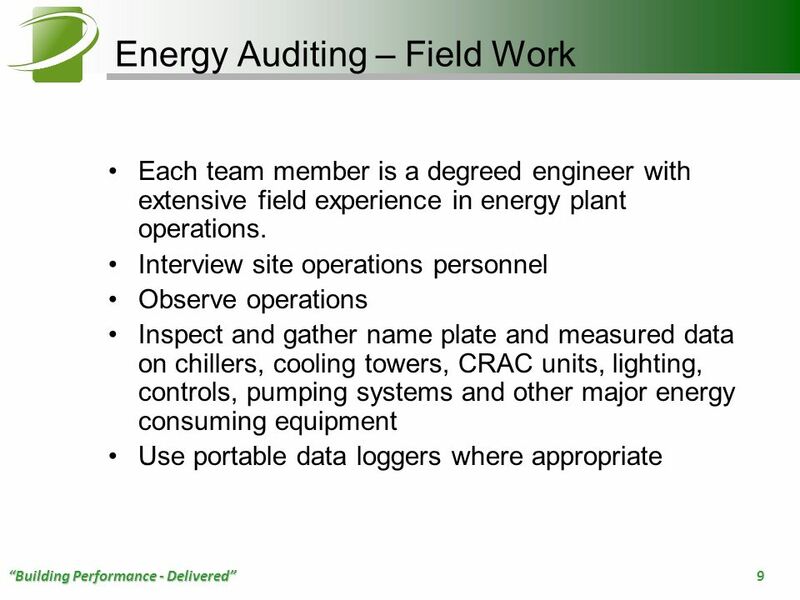 Energy Solutions Manager Agriculture and Food Processing Customer Energy Solutions PG&E May 2011. Click to edit Master text styles – Second level Third level – Fourth level » Fifth level Integrated Solutions for Hospitality Projects. 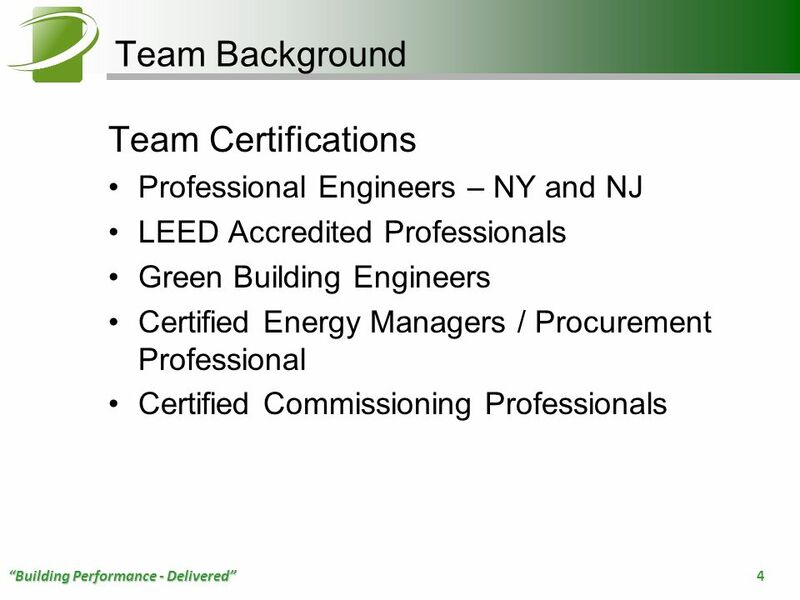 1 Partner with the Con Edison Commercial and Industrial Energy Efficiency Program. 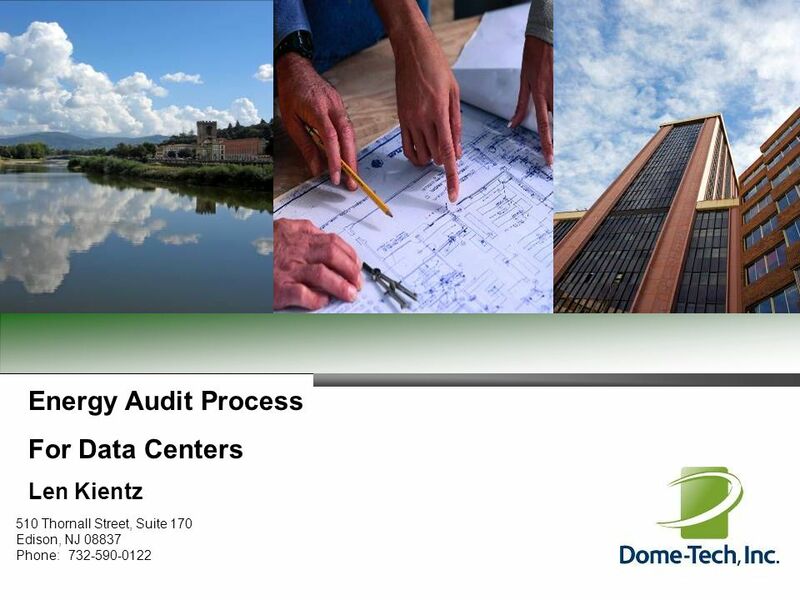 Tom Johanson – DNV KEMA Senior Engineer Building Automation Systems. 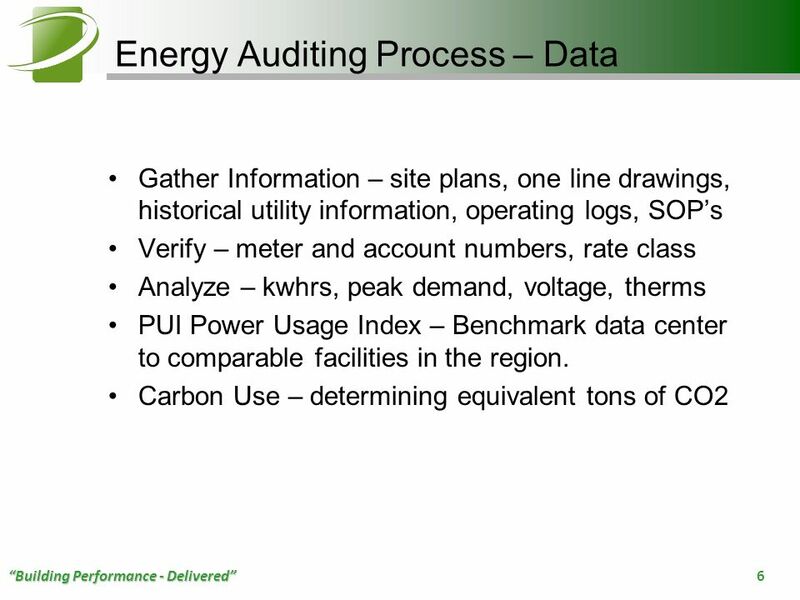 Rebuild Massachusetts and PHEEP Energy Information Services Project Presentation to DCAM, EOEA, HUD January 4, 2006. 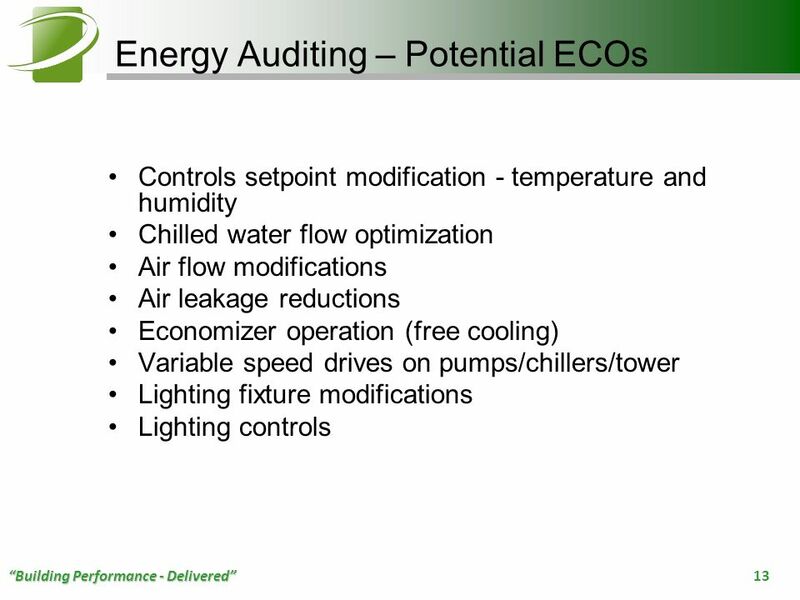 Commercial Real Estate Efficiency (CREE) Program & Energy Assessment Program Presented by: Russ Chitwood, P.E. 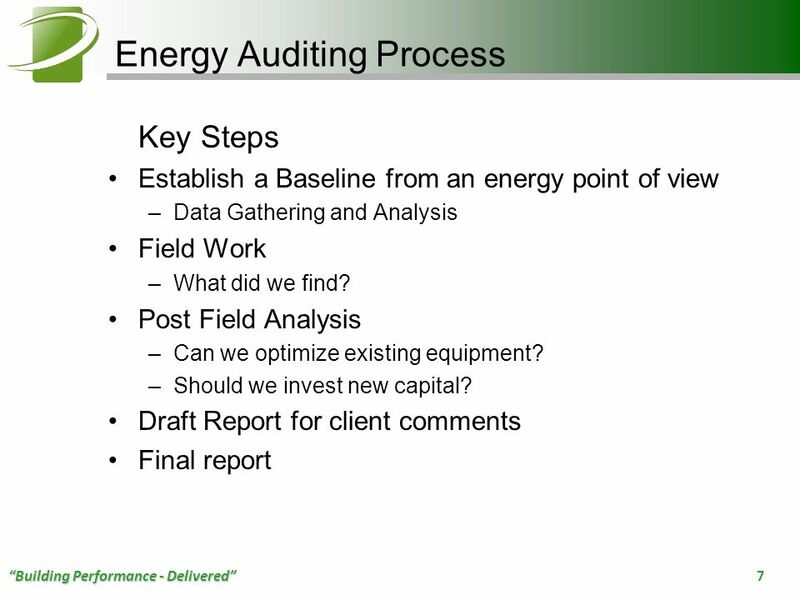 Nexant, Inc. OPPORTUNITIES FOR BUSINESSES TO DIRECTLY IMPROVE THE BOTTOM LINE THROUGH ENERGY EFFICIENCY 3 rd May 2010 Kees Brinkman Managing Director. 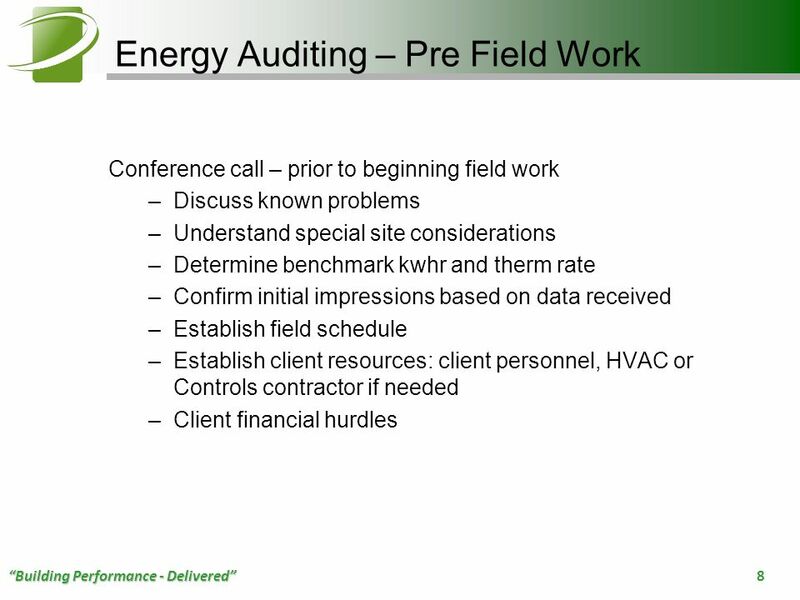 ASSESS TARGET DELIVER MEASURE Understanding Building Energy Audits Joe Hofstetter P.E., CEM, LEED AP Karpinski Engineering. North American Operations Kalamazoo Plant Welcome to Kalamazoo. 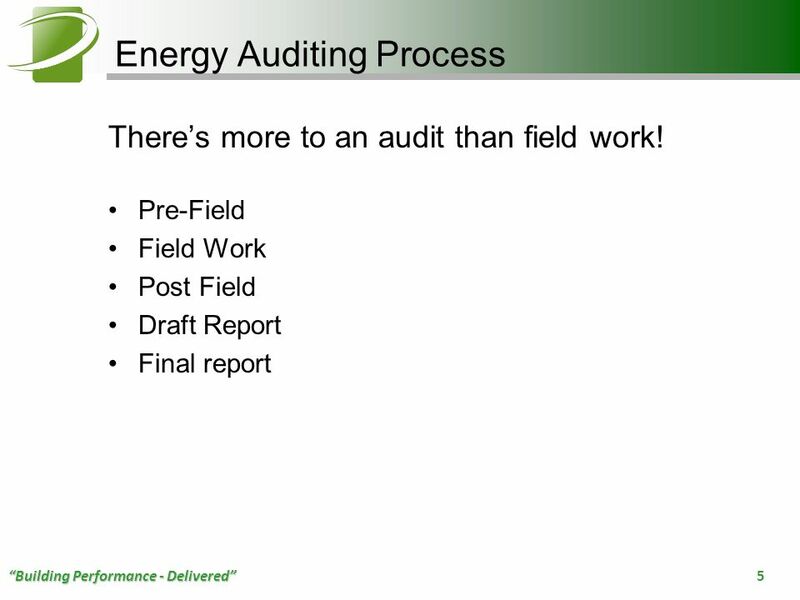 ENPM808W Energy Efficiency/Energy Audit and Conservation Week III, Lecture 1: Energy Audit Procedures and Energy Benchmarking Dr. Michael Ohadi Spring.